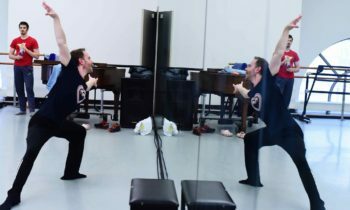 The relationship between the two characters is also important— you quickly notice how the second dancer chases after the first dancer in an effort to care for her, only to be left coldly in the end. Rawness and honesty are what is left for you once the dance ends. 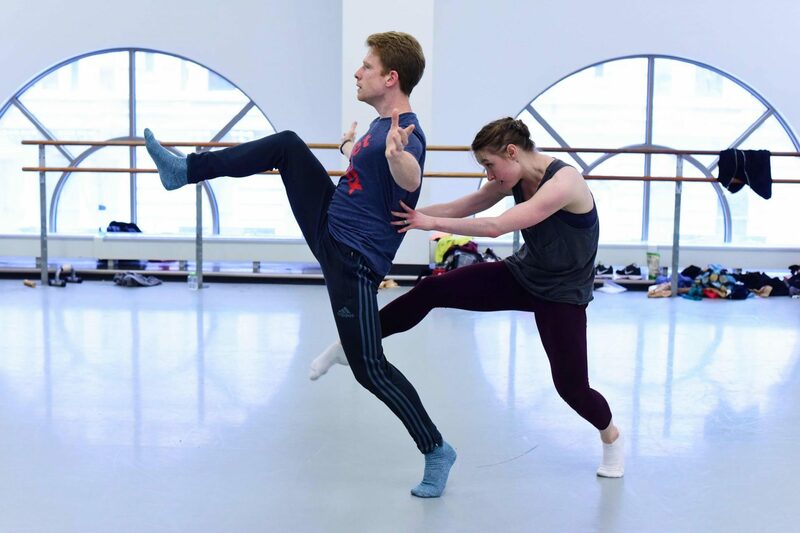 Matthew Neenan’s newest work for the Vail International Dance Festival continued to unfold in Friday’s rehearsal. You find yourself an observer to another world, with curious entities outside normal existence. The music is eerie, calling to something beyond day-to-day human activities. It creates a blank space, which leaves the structure entirely up to the dancers and leaves you in an otherworldly destination. The dancer begins alone. She displays childlike movements, stumbling forward and back, falling and almost crumpling into the fetal position. She is curious, feeling her face and body as if it were new. The curiosity extends to another character when the second dancer joins. The two characters are reminiscent of the tableaus in the Wednesday rehearsal; their development seems to stem directly from those earlier glimpses. The dance pushes for the discovery of true identities and exploration of the human form. Falling is a key movement in today’s rehearsal, a movement that could represent vulnerability and failure. The relationship between the two characters is also important— you quickly notice how the second dancer chases after the first dancer in an effort to care for her, only to be left coldly in the end. Rawness and honesty are what is left for you once the dance ends.